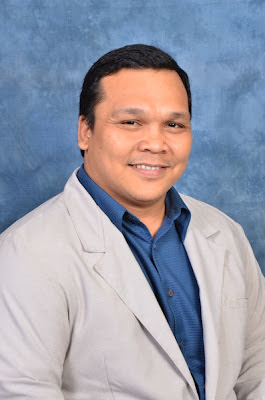 Rommel Arellano, a 35-year-old, an inspirational speaker from Bataan has emerged as this year’s Happiest Pinoy, besting 9 other finalists and over 13,000 nominees nationwide to take home a trophy and more than PhP250,000 in cash prizes. 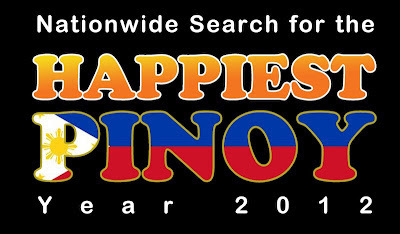 The search for the Happiest Pinoy is a flagship campaign of the Cebuana Lhuillier Insurance Solutions (CLIS). It seeks to find the most optimistic and resilient Filipino despite life’s challenges in the hopes of inspiring other people to do the same. “I am overwhelmed with this unique recognition. By receiving this award, I hope to encourage more Filipinos to stay positive and remain optimistic despite life’s problems. I may be different, but let me make a difference in the lives of others,” said Arellano, Happiest Pinoy 2012. Present during the awarding ceremony at the Makati Shang-ri La Hotel were P.J. Lhuillier Inc. (PJLI) chairman and ambassador to Portugal Philippe Jones Lhuillier, PJLI president and CEO Jean Henri Lhuillier, PJLI corporate communications group head Marissa Ancog and first Happiest Pinoy awardee Winston Maximo. The Search for the Happiest Pinoy finalists included student leader Arnel Alipao, family counselor Gilda Fortunata Altez, inspirational speaker Rommel Arellano, peace coordinator Connie Emborong, teachers Marcelo Otinguey and Concepcion Tababa, college instructor John Gabriel Pelias, entrepreneurs Gerald Raymundo and Rebecca Tiu Conco and utility worker Leonardo Villanueva. The Happiest Pinoy 2012 panel of judges included Ramon Magsaysay Foundation president and CEO Ma. Carmencita Abella, Education Secretary Bro. Armin Luistro, PJLI chief administrative officer Jose Miguel Jimenez, 2010 Happiest Pinoy awardee Winston Maximo, 2009 CNN Hero of the Year Efren Peñaflorida, Brahma Kumaris Foundation Philippines president Dr. Leticia Ramon-Shahani, University of the Asia and Pacific senior vice president Dr. Bernardo Villegas and Philippine National Red Cross governor Miguel Zubiri.